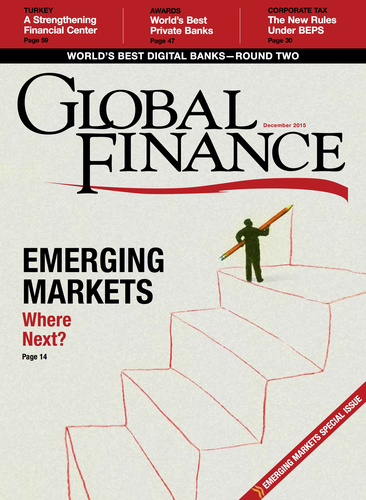 Global Finance: What role does social media play in banking? Alex Chen: It plays several important ones: Customer service is provided not only on the phone but also on platforms like LINE and Facebook; transaction notifications can be received via email but also via LINE and Facebook. Interactions are not just between customers and banks but among customers themselves. Loyalty program rewards are not limited to financial products, but include those of our strategic partners. GF: How do consumers in your region view social media? Chen: Consumers in Taiwan have a strong dependence on social media, with up to 70% of the population using platforms like Facebook and LINE and WhatsApp. They are willing to embrace their application in banking. Our goal is to deliver a “wow” digital experience to them, so we have expanded the use of social media in various ways. In the LINE BusinessConnect service our customers can check credit card activities. Additionally, social media is a critical channel for customer feedback. They can post questions on Facebook, and our team will reply within one day. Our official LINE account lets customers type keywords for their problems and responses will automatically appear. Finally, we think social media can make the relationship between customers and banks closer. We deliver market trends and events to them through their favorite platform and remind them of their payments’ due date. GF: What are the new digital banking frontiers to look out for? Chen: We plan to facilitate the “split-the-bill” process. This new function allows the main payer to add Facebook and LINE contacts to a group page within our app and insert the total amount paid for a product or service. The calculator splits the bill among the participants and the payer can notify them via their favorite social media of what they owe.